In a buzzing and packed out press conference, the Minister of Energy and Water of Israel, Mr Uzi Landau, highlighted the importance of the submarine cable to Israel’s strategic plan for economic development and energy security. Mr. Landau emphasised both his personal commitment and that of the Government of Israel to bringing this great venture to fruition. The Vice-President of the Israel Electric Corporation, Mr Yasha Hain, gave a vivid depiction of the modern project, likening it to the Biblical exodus of the Israelites out of the wilderness in their miraculous crossing of the Red Sea. 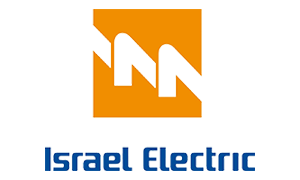 The Chairman of the Israel Electric Corporation, Mr Yiftach Ron Tal, described it as an historic moment, which brings Israel closer to the day on which it ceases to be an “economic and energy island” and is connected to the pan-European electricity grid. 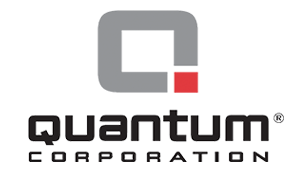 The Chairman of PPC – Quantum Energy, Nasos Ktorides, said that this inspired partnership can only bring benefits to its three partners. 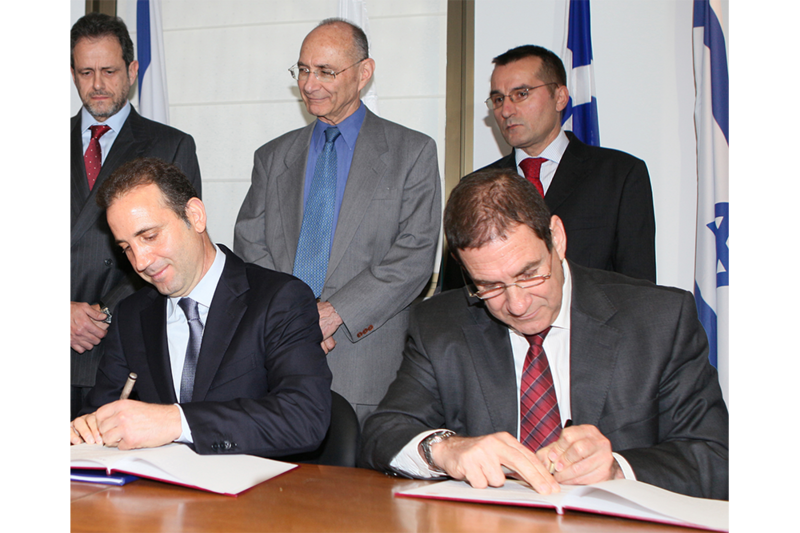 “Greece will increase its energy efficiency, and will become a major player in the European energy arena. 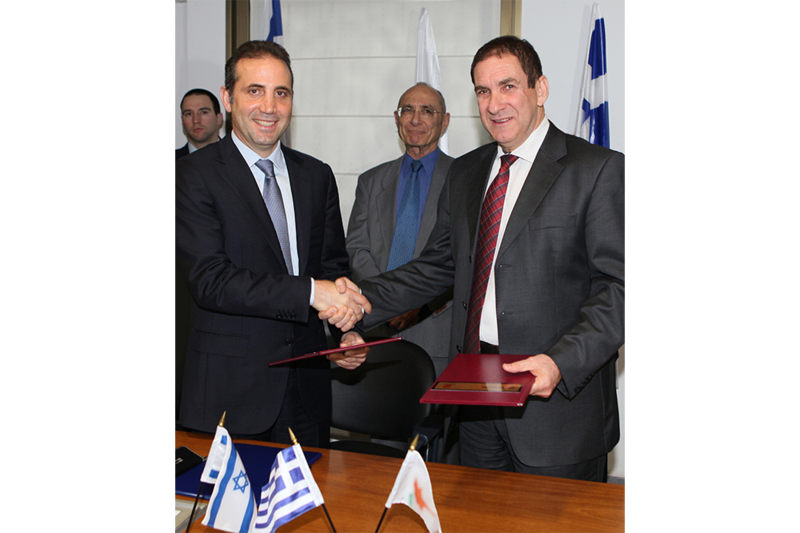 Cyprus will cease to be an island and will provide a steady flow of energy inside and outside the country, and Israel will become an important energy carrier in the European continent,” he said. 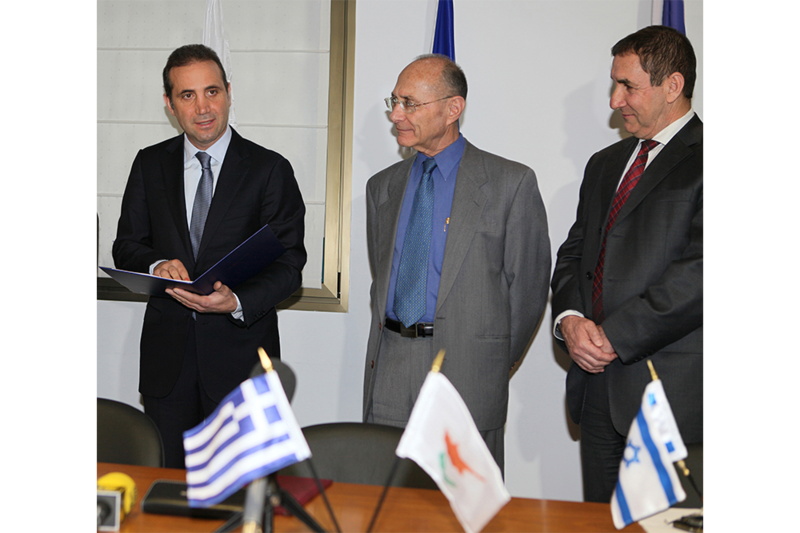 In a brief address, the ambassadors of Greece and Cyprus expressed the support of their governments for taking the project forward. The completion and review of the feasibility study by the three project partners within 2012 will mark the end of first phase and the beginning of the implementation phase, which will take 36 months.